I did leave these loads out side over night which I don't normally do. I believe the overnight temperature was around 40° or lower. That's cold enough for a couple of our common powders to be cold sensitive and have weak pressure. A weak pressure round would be the common reason a primer backed out. Havent't heard that VV 320 is weak in cold weather, though. Toss a hot hands hand warmer or two into your ammo box if you have let them chill out overnight next time. I know of two shooters that are VERY picky and have tested this as well and told me the same thing. Harder? Not harder? I don't know but like Deuce said they are harder to set off. At least for the Fed 100 & 200. My wife's 73 is super light and it will occasionally not fire the 200's. I use to shoot them in the winter when I couldn't find 100's and she would have one not fire every few matches. I went to 100's only for her and 2 years later not one misfire. OP check your extractor. I had primer's backing on me at GA state (of course it happens at the bigger matches) and that was locking my rifle up like you are saying. I think it happens if the gun is opening and there is space for the primer to push out and push the round off the extractor as you fire it. FWIW Vitavouri N320 looks remarkably like grains of sand after it is burned. One of our shooters uses it & his guns look like they are spitting sand with every shot. I always thought it was unburned powder until I saw N320 in the can. Is he shooting a light load? I saw that with other powders if you are in the basement but if you get closer to the volumes they were designed to shoot it goes away. 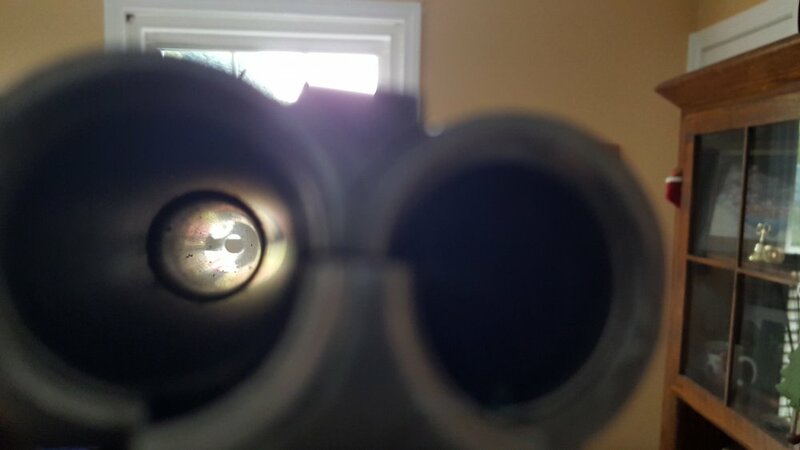 My clean shot left some yellow spec's of un-burnt power at 3.5 grain but at 4 it went away. Been shooting same load of 3.1gr. Of V320 for over a year. 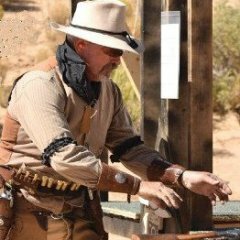 I shoot 3.5 gr of Red Dot in a .38spl case, 125 gr bullet in my '73. That load simply doesn't create enough pressure to expand the case and seal the chamber to prevent blow-by. I open the rifle up and clean all that junk out & re-lube every 2-3 matches. It's just normal/SOP. 45C with 5.5gr & 180 gr bullet is even worse - have to clean it after every match. Red Dot is #7 on the burn rate chart. V320 is #25, so it's even slower than Red Dot, so you're probably getting even more blow by. If you don't want that crud in the action then you'll need to shoot a load that creates more pressure, preventing blow-by. After arm surgery I needed a really light load to keep shooting. 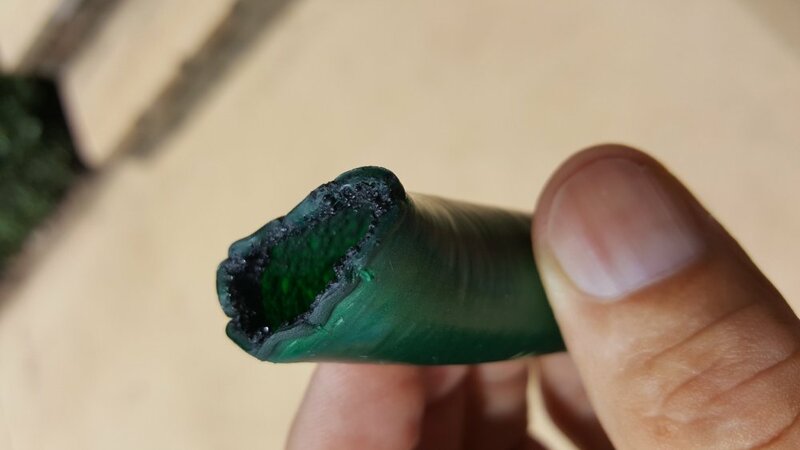 This shotgun shell was the result of downloading 700X charge. It caught on fire! In my search for a clean burning powder I came upon Alliant Ultra Lite powder. It is designed for 7/8 oz 12 ga Sporting Clays. This SXS pic is 14gr under 1 oz shot after three matches w/o cleaning. (1 two day state match and 1 monthly match). I have since loaded .38 pistol/rifle with 2gr under 125gr lead (2.2gr under 105gr lead) which has performed flawlessly through the summer and winter (down to 19 degrees F). There is no loading data in the books for this powder other than the 7/8 oz sporting clay loads, but thought I'd share my findings. It seems unlikely that lead shards or unburned powder are getting into your 73 lock works during firing. They would need to enter either through the bolt track or through the lifter opening, and neither path is really open when the gun is in battery. Likewise, wind should have no path through which to deliver contaminants past the forward receiver/carrier. Your description sounds more like contamination during cleaning operations either by you or a prior owner. I would suggest disassembling and thoroughly flushing the lockworks with a solvent, such as spray carburetor cleaner (but not if your gun has painted parts! AND be sure to keep the solvent off of the finished stock and forearm.). Then regrease all of the contact points and toggle knuckles. Be sure to regrease the end of the lifter that extends into the carrier and the lifter and lever spring seats on the lever's internal cam. If you are not familiar with 73 rifle disassembly and reassembly, get someone knowledgeable in your local club to walk through it with you. It really isn't a big deal to clean the lock mechanism with each gun cleaning. Personally, I open the lock works and clean them with each cleaning, after about each 100 rounds, which for me is after each two-day monthly match. I try never to put guns away dirty.